Potential of Russia, China, North Korea and Iran to interfere, Bolton says. National Security Adviser John Bolton said Russia is only one of four countries that could potentially try to interfere in the 2018 U.S. midterm elections. 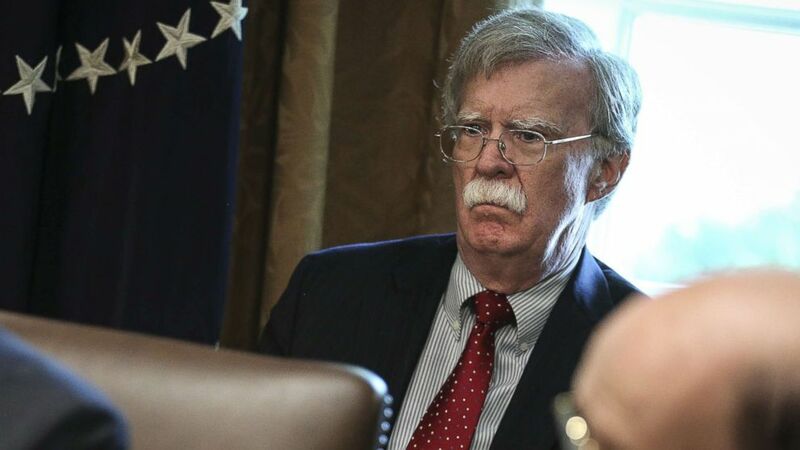 In an exclusive interview Sunday morning, Bolton told ABC News Chief Global Affairs Correspondent and "This Week" Co-Anchor Martha Raddatz that the U.S. is also concerned about possible election meddling by China, North Korea and Iran. (Oliver Contreras/Pool via Bloomberg via Getty Images) National security adviser John Bolton listens during a meeting with President Donald Trump, not pictured, in the Cabinet Room of the White House in Washington, D.C., Aug. 16, 2018. “I can say definitively that it's a sufficient national security concern about Chinese meddling, Iranian meddling and North Korean meddling that we're taking steps to try to prevent it, so it's all four of those countries, really,” Bolton said in the interview at Jerusalem's King David Hotel. Raddatz spoke with Bolton in Jerusalem at the King David Hotel on the first leg of his foreign trip. He is also set to meet with his Russian counterpart next week in Geneva, a follow-up to the July 16 summit between President Trump and Russian President Vladimir Putin in Helsinki. President Trump came under harsh and widespread criticism for a comment at a news conference with Putin in Helsinki when he appeared to accept the Russian leader's denial of meddling in U.S. elections despite American intelligence agencies' having concluded the opposite. "I have President Putin, he just said it's not Russia," Trump said. "I will say this. I don't see any reason why it would be." Trump has also said previously that "it could be other people also"” besides Russia behind the U.S. election meddling in 2016.